At a party surrounded by friends and family, one adult (Zachary Quinto) loses his temper and disciplines an unruly child with a slap. Stunned and outraged, the child's parents (played by Melissa George and Thomas Sadoski) threaten legal action, but what the guests and hosts don't realize is that this action sets in motion a series of events that will uncover hidden secrets amongst this group of friends, lovers and family. 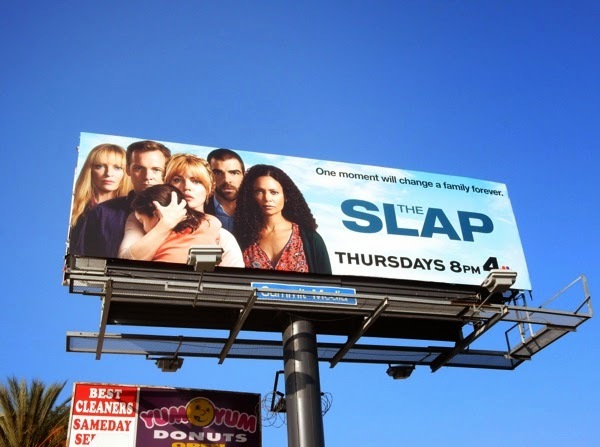 The Slap is an eight episode mini-series based on an Australian drama of the same name, which is itself adapted from the 2008 novel by Christos Tsiolkas. 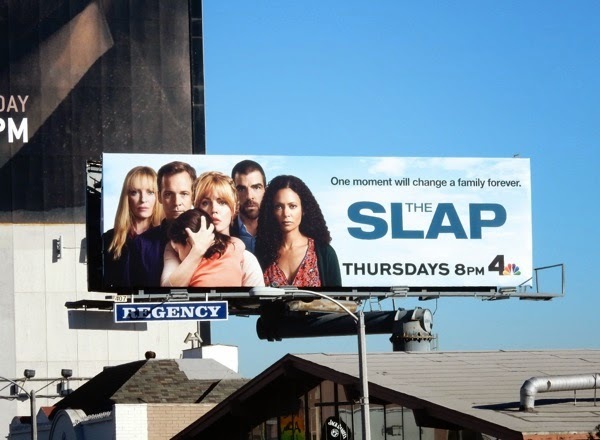 Rounding out NBC's all-star cast of this family drama are Peter Sarsgaard, Thandie Newton, Uma Thurman and Brian Cox. 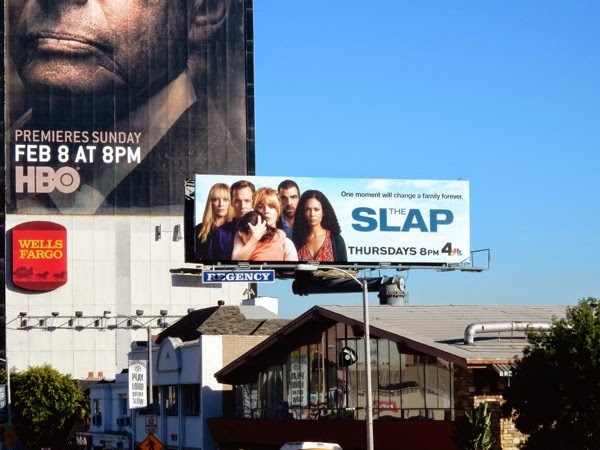 These series premiere billboards for the mini-series remake were spotted along Sunset Boulevard and Highland Avenue on January 21, 2015. TV shows never seem to make the translation from their home territory as successfully as studios hope. You just have to look at Fox's poorly performing recent remake of the acclaimed British series Broadchurch as Gracepoint, the remake of the Scandinavian crime drama The Bridge on FX (which only lasted two seasons) and also Fox's remake of another Australian show, Rake, which flopped at the start of last year. 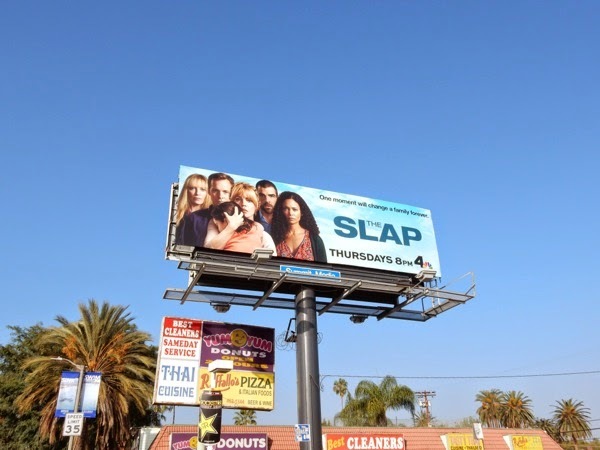 Let's hope The Slap doesn't turn out to be a slap in the face for NBC.